A totally amazing optical illusion! 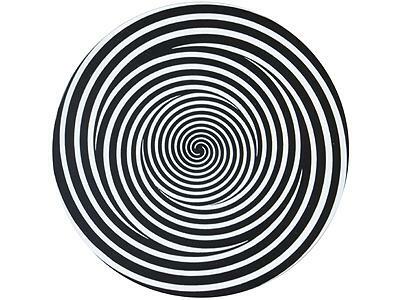 Spin this 6 inch metal disc on a flat surface, and stare at the centre of the disc for 20 or 30 seconds. Then look around you...Your surroundings will appear to be simultaneously expanding and shrinking. Pretty spooky! This works very well and really does play strange tricks on the eyes and mind. A present for Star wars fan. Wonderful product! Shipped promptly and without hassle. Thank you so much!